When Exchange Server crashes unexpectedly and OST file become corrupted due to uninvited reasons, then you become unable to use those OST file to perform emailing operations like sending/receiving of mails etc, as they become unusable. These OST files are already encrypted and therefore, you are unable to use them after Exchange Server is dead. In case Exchange Server has got crashed and along with that, OST file has got corrupted, what you can do is to repairing Exchange OST file and use that PST file with Outlook to use it for sending/receiving emails etc, as Outlook also works as a standalone application even without the conjugation with Exchange Server. With Exchange OST Recovery, this will be a very small price. Recovers all calendars field starting from Subject, To, Label, Reminder Minutes, Recurrence, Reminder to every bit of data related to it. Exchange OST recovery software recovers all fields of notes like Created time, Subject & date, Window size, Categories, Color etc. Recover all task fields like subject, Attachment, Time, due date, To, Priority, Status Start Date, Reminder Date etc. Make Recovery of all fields of Journals like Body, Subject, Company, Entry Type, Attachment, Duration, Start Timer etc. Recover deleted emails: Sometimes, when some emails are deleted let's say from your Inbox, then they reach the folder named 'deleted items' folder. Now, if they are again deleted from this folder then using our software, you can recover the deleted mails from OST and convert them to PST. Exchange OST file recovery by conversion: For Exchange OST recovery, this OST file recovery software first decrypts the data contained in this OST file in raw form & after that, it saves it into PST, which is a format viewable in MS Outlook, when it works as a standalone application. Conversion of Exchange OST : Convert Microsoft Exchange OST file to other non-OST formats (MSG, EML). Don't See Your Wallet! Demo Version is FREE! You don't have to think about the payment to try Recover OST Email to PST tool as it comes as a free facility to you available free of cost. Demo versions is operative but somewhat restricted, so only preview of recovered OST email data can be see but can’t save those information. Because the saving feature is de-activated for demo version. For saving, recovered Exchange OST content user needs to have the Fully Fledged Version attainable at a nominal. Recover OST file with compressible encryption as well. If OST file large in size then split in small PST files. Save in EML and MSG file with name convention Facility. Definite time of OST file items can be retrievable. Support all updated OST file versions (2016, 2013, 2010, etc). Full working version of Exchange OST Recovery tool is the right way to perform restore OST file recovery as it will help you to repairing Exchange OST file, thus, making it possible for you use your mailbox data from that PST file in Outlook. Using full version, you can enjoy complete OST file resurgence by converting all mailbox items from unusable OST to usable Outlook PST, MSG and EML file formats. Surely, this will be a very small investment to return to business. I was in need of some tool to recover OST files; I made an online search and found OST Recovery tool having most attractive features. 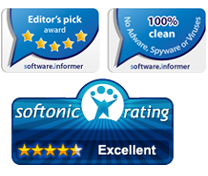 After downloading demo version I decided to buy the software in Full Licensed version to avail the complete benefits from this tool. I am glad that I took this good decision because spending in this tool proved worthy. 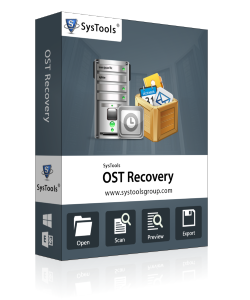 Appreciable tool to recover my OST files quickly. Copyright © 2011-2019 www.exchangeostrecovery.net | All Rights are Reserved.